Loss or damage control is one of the basic priorities for any kind of business. If there is a chance of controlling loss, then it secures the investment and ensures gradual progress regarding profit. It is also true for a trader who is new in the online trading market. A trader always cherishes the idea of minimum loss and a maximum profit. 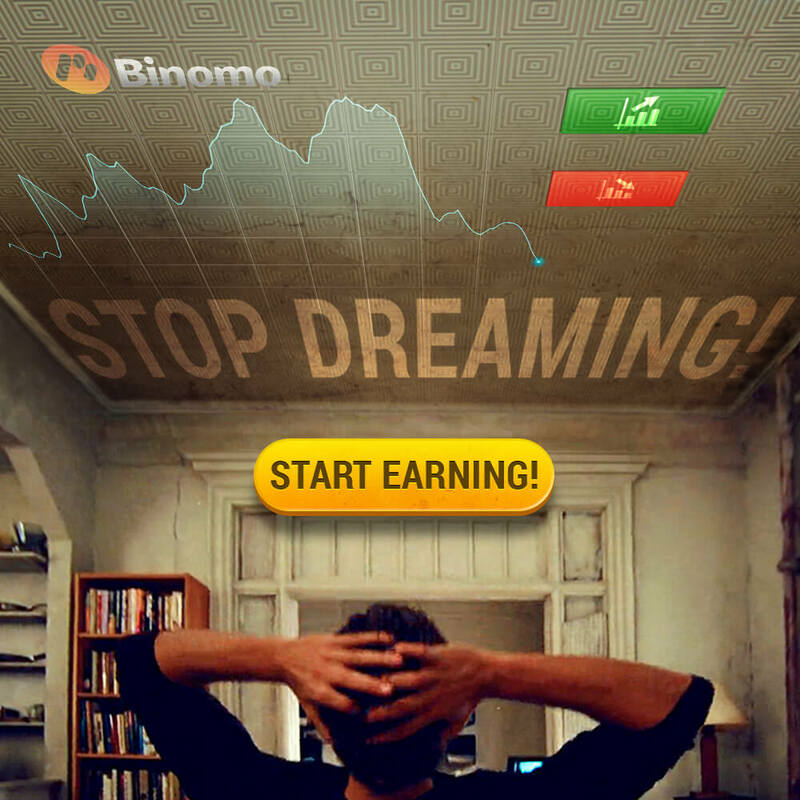 Those who are really thinking in this way and looking for a broker, Binomo App is the best choice for them. 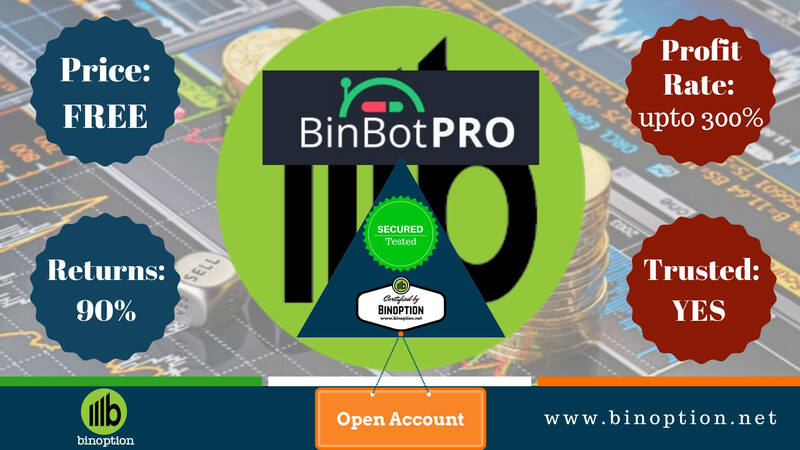 In our Binomo Review, we will mention the unique features of this broker which is offering a highly efficient platform to their traders. This registered company has been providing brokerage services since 2014. It also assigns market expert for every individual. 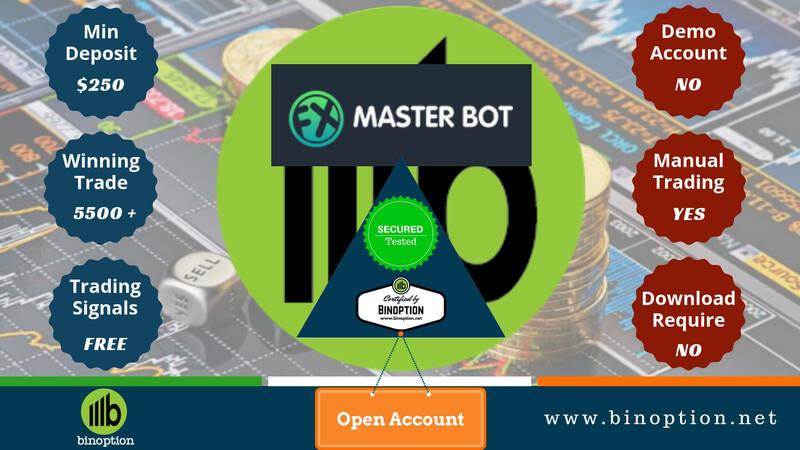 Most importantly, it has the high-quality customer service, market analysis support, quality training for beginners and exclusive profitable trading condition which will give you an unbeatable return up to 90% or more than that. So, let’s start to reveal about Binomo where trader should trust this broker or not. Binomo Review – What Is Binomo? Binomo is owned and operate by Tiburon Corporation Limited and the address is – Suite 1, Second Floor, Sound & Vision House, Francis Rachel Str., Victoria, Mahe, Seychelles). Binomo broker was established by the managing company Stagord Resources Ltd registered in Nicosia, Cyprus (Address: 60 VasileosPavlou, AgiosDometios, CY 2360). “An innovative trading platform with small investment”. 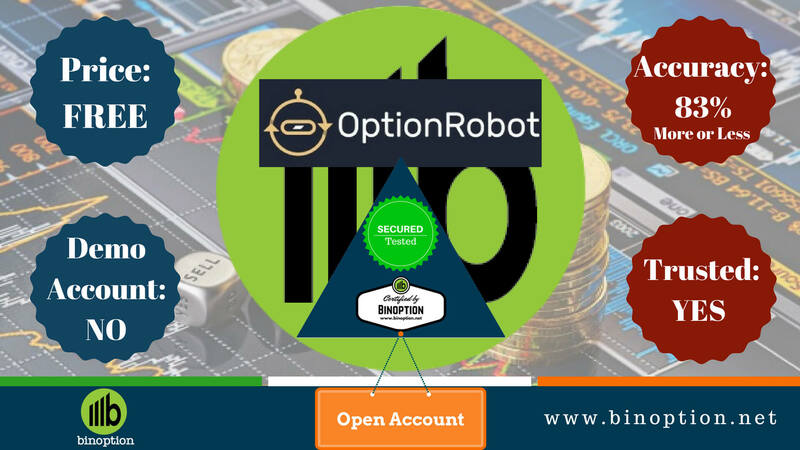 It is a binary options trading platform which is unique, easy to use and smooth. It conducts the operation from different countries and serves customers from all over the world in major languages. The platform is offering 17 native languages which will help traders to communicate through the live chat without any hesitation. Traders money has been kept into the separated accounts in order to secure fund. Binomo also maintains a strict policy regarding customer’s privacy. Binomo has few achievements and awards for their trusted service. 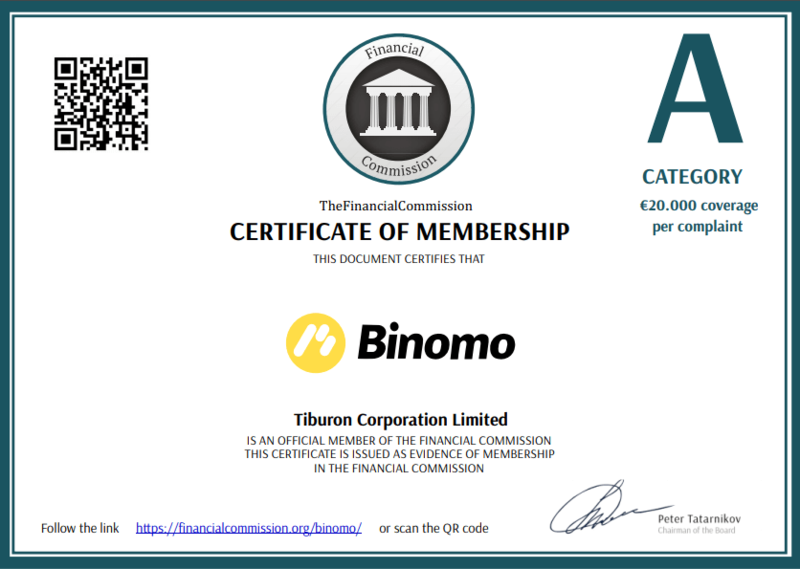 Since 2018, Binomo is a Category “A” member of the International Financial Commission. Binomo is giving an assurance to their traders, that the platform is safe and secure to perform the trade. If the broker does any fraudulent activity with a trader, then he or she will get up to $20,000 from the Compensation Fund. The company is also abiding to deliver services, transparency, and protection of an independent professional organization. Moreover, the company has pending CySEC and CPO licenses. By joining the Finance Commission at 2018, Binomo reaffirms its commitment to maintaining the highest standards of commercial honor and best business practices. 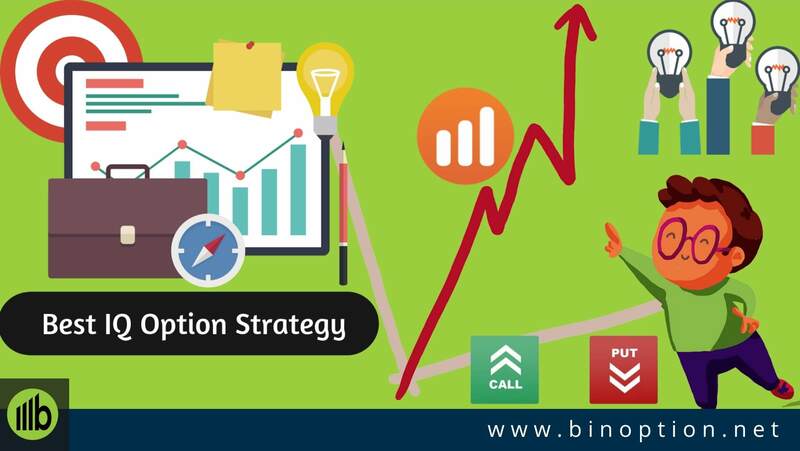 We have researched carefully to find out the reason behind choosing Binomo as a trading broker. We have found some tremendous features which indulged us to choose Binomo as a broker among many. We recommend all of the new traders to consider these features before making any decision regarding broker. 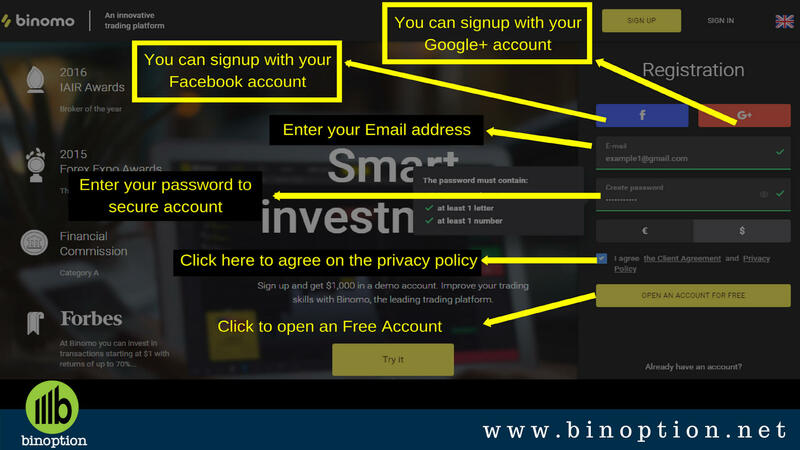 Before login or sign in, you must sign up or register with Binomo trading broker. Here, I am giving step by step instruction for signing up with Binomo. Registering for an account is for free. At first, to begin the registration process you need to click the “VISIT OFFICIAL WEBSITE” button below. The Binomo official webpage will open. After clicking on that, the below page will come where you have to register or sign up through valid email address and password. Also, you can register using your existing Facebook and Google plus account. Completing the account registration will take you just 1 minute. Before you can log in to your trading account, you need to activate it first. A link will be sent to your email inbox; click on that link to be able to activate your account. Now, you have an active Binomo account. Your demo account will be deposited with $1,000. After that, you will be directed to your trading room and a popup will come. You can either start with your Demo Account or Real Account by depositing only $10. After that, you will be able to trade from the trading room. From the next, you just have to login by clicking the Sign In button from their website by the same method (Facebook, Google Plus or Email) you used during registration. Either you can directly Sign Up with your email from the below. 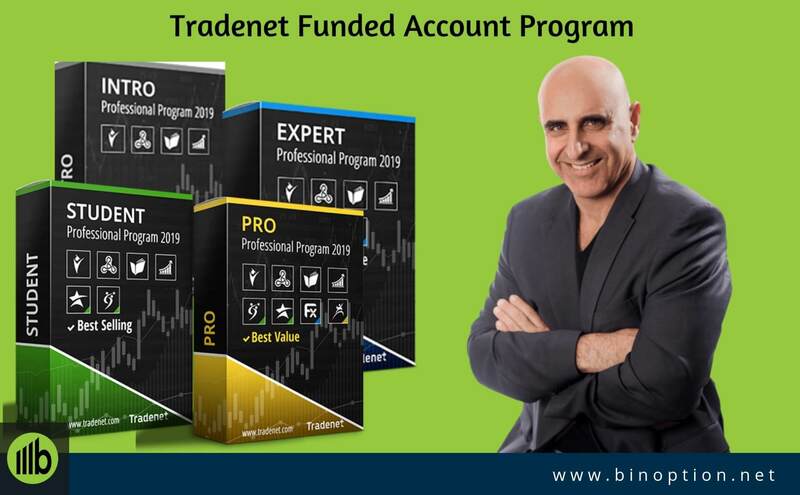 Binomo has three types of account along with the Demo Account. You can choose from them for easy money management system and optimal service. You can also choose according to your trading experience. A Standard Account deposited money starts from $10. Traders from any experience level can open this account. You can enter into the trade by investing only $1. However, a trader can trade with this minimum amount with real brokers. Traders will get analytical support and also participate in different tournaments and special offers. The good news is that this type of account offers 85% returns from their trading. To become a Gold Account trader, each one needs to deposit minimum $500. Unlike Standard trader, Gold Account trader is guided by a personal trade expert or manager. Moreover, the trader enjoys an expanded list of assets. Fastest withdrawals within 24 hours. Traders will get analytical support from professional traders. 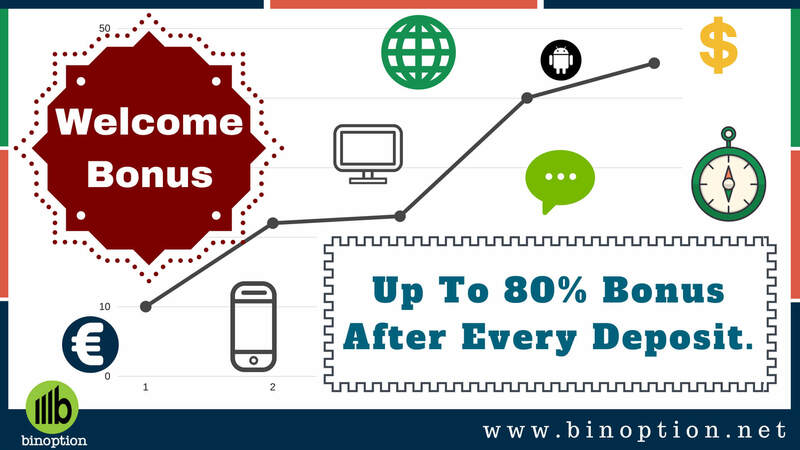 The Return up to 86% and you will also get a weekly 5% return on your losses. 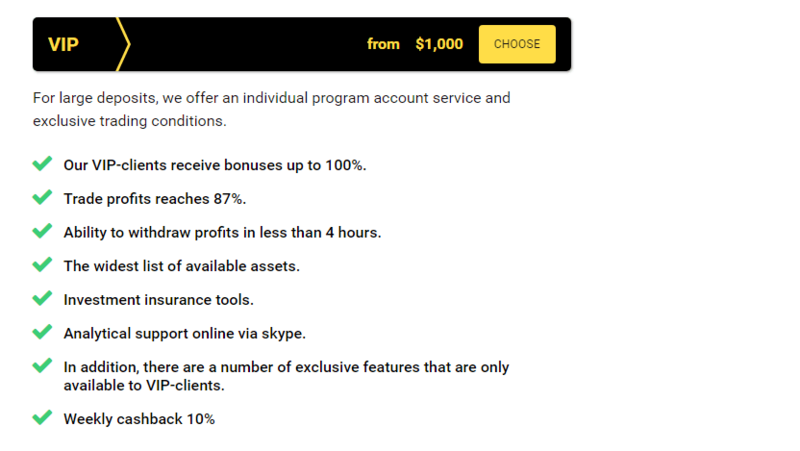 A trader needs to minimum deposit $1,000 to become a VIP Account trader. Furthermore, the trader gets all the facilities of Gold Account Trader including a complete list of services and opportunities, bonuses up to 100%, and fixed trade profits up to 87%. The highest cash back is 10% of looses. Trades can communicate with their personal manager via Skype for analytical support. The special features entitled to the VIP trader are – withdrawal of funds within 4 Hours, widest choice of basic assets. The highest return is almost 90%. 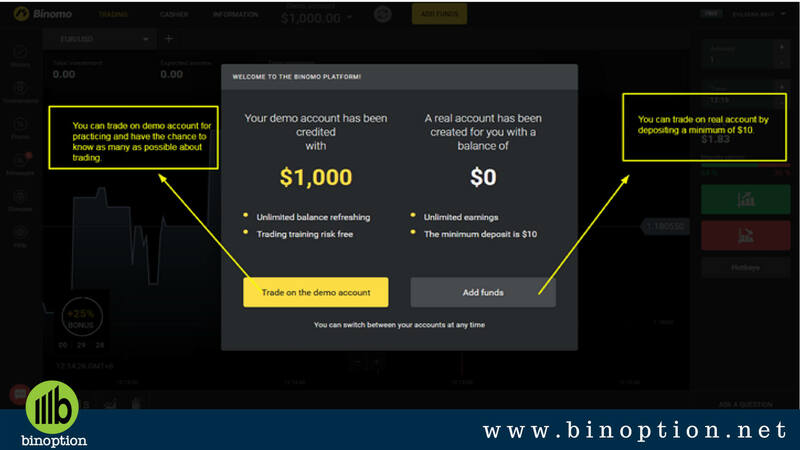 You can practice and improve your skills by trading with a Binomo Demo Account. Trading with a demo does not cost a single penny. For beginners, this is an opportunity to trade with demo account without any risk of losing funds. 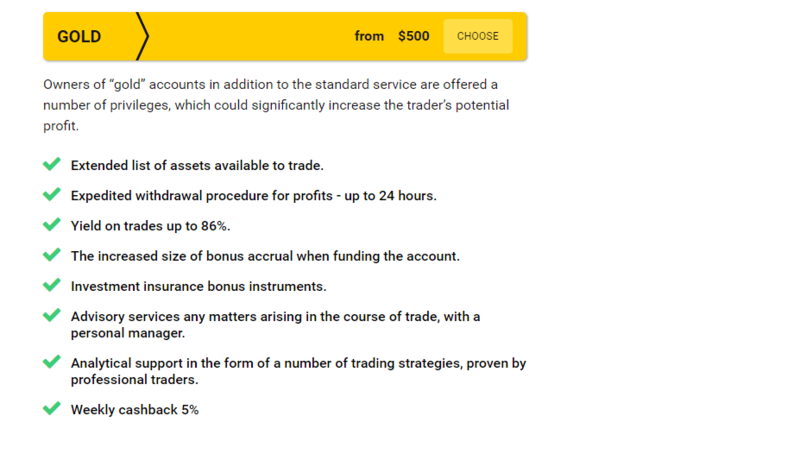 For the experienced trader, Demo account is helpful to create and test various trading strategies, tools, and assets. After opening a demo account to Binomo, you will get $1000 virtual money. Demo Account is 100% similar to the real account in terms of underlying assets. Therefore, you can switch to your real account when you are ready to take the risk. To switch to the Real Account you need to select the Account type “Real”. You need to deposit money to start trading on a real account. This can be done from the “Cashier” section on the trading platform. 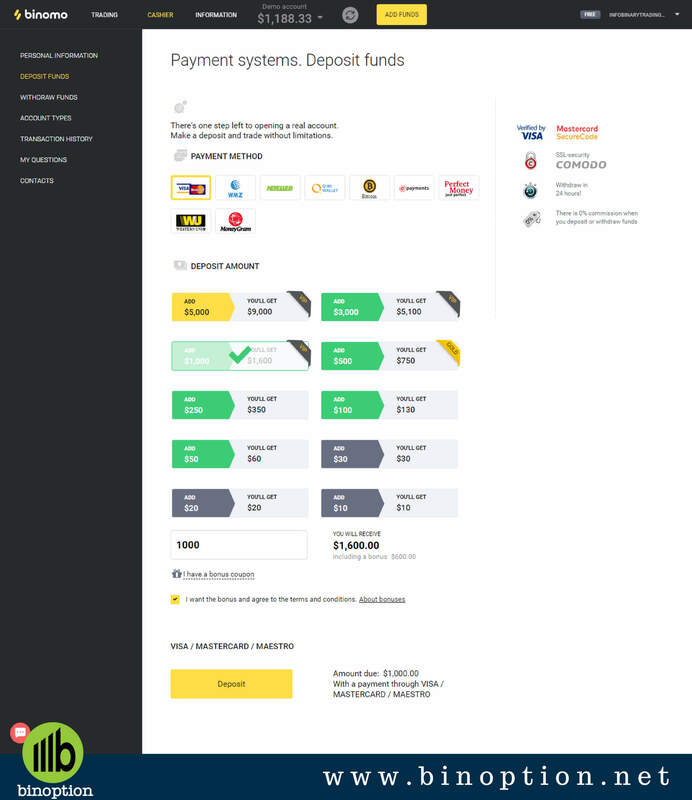 In Cashier page, you can select your payment method, deposit amount and make your deposit. 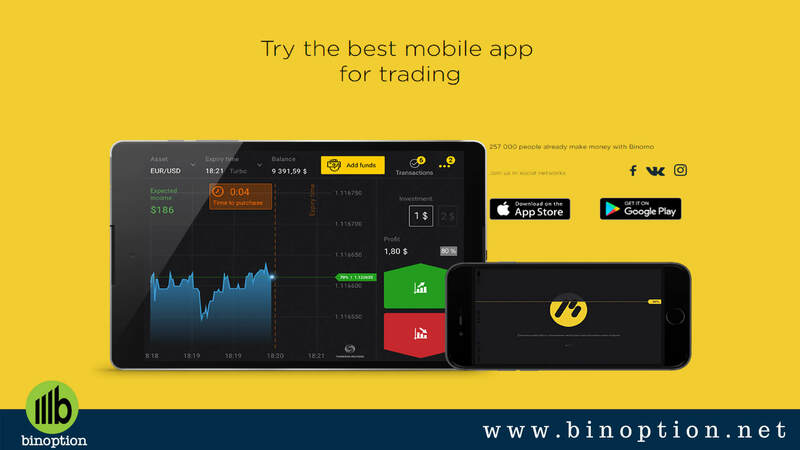 Binomo offers mobile trading for their traders. Trading apps is available for IOS, and Android device. The exciting part is that you can get updated instantly about the closing transaction, tournament, and promotions. You can also set notification which you cannot set from the website. There is an excellent app designed with all the necessary features for mobile trading. It helps a trader to conduct and to continue his trade from anywhere and at any time. There is only one type of trading contract available in Binomo. The name of the trade type is High/Low. 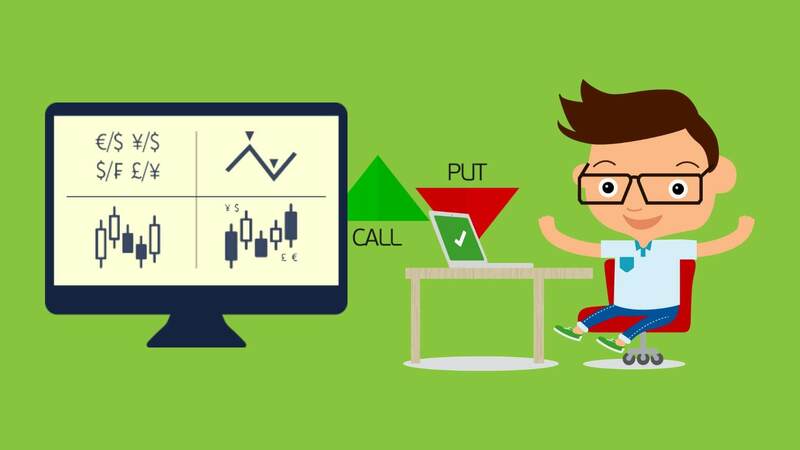 These are the classic types of binary options trades and are otherwise known as the Call/Put options. High/low trading expire option is to start from 1 sec to 60 min. Payout rate is about 70%-90%. The quicker and simple up/down trading condition is considered as 60 sec trade. 1 second, 5 seconds, 15 seconds, 30 seconds, 1 Minute, 5 Minutes, 15 Minutes, 30 Minutes and 60 Minutes. If you are a trader from Indonesia,it is a great place to start your trade now. Binomo is widely running their business in Indonesia. However, there is no particular rules for Indonesian traders. In Indonesia, the Financial market is regulated by Indonesia Financial Services Authority. The authority is locally known as Otoritas Jasa Keuangan (OJK). All Binary Options trading falls under the remit of the Indonesian National Bank. So, trading binary options in Indonesia is not banned by Law. They are responsible for regulating this trading industry. Moreover, they are not only responsible for local brokers, but also for foreign websites that have permission to operate business there. For general, they are not providing like a community just for this particular country. The trading platform is open for them. There are more than 70 assets are available in BINOMO. The VIP traders can access the whole underlying asset. They had a number of Forex pairs and commodities. 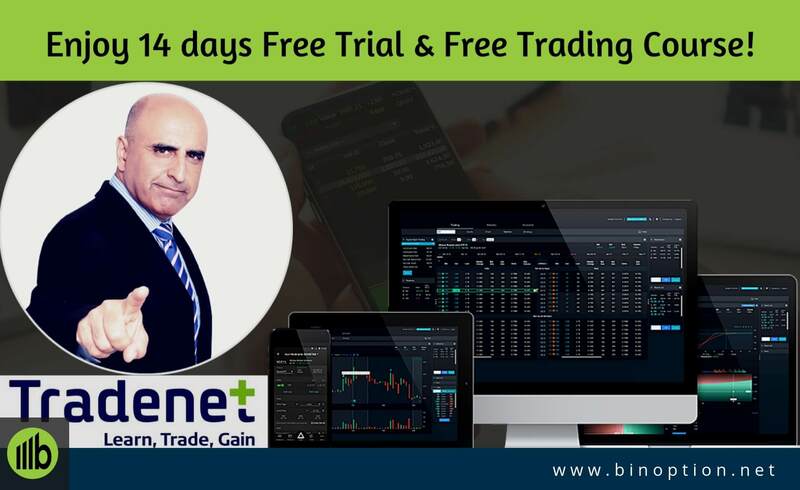 They accept OTC pair (EUR/USD, GBP/USD, USD/JPY, AUD/CAD) and also other Forex pairs (EUR/USD, AUD/USD, AUD/CAD, EUR/JPY, GBP/JPY, USD/CAD, AUD/JPY, NZD/USD, USD/CHF, EUR/GBP, GBP/USD). In commodities they have (UKX, CAC, AEX, NASDAQ 100, DOW JONES IA, Crypto IDX). Traders also can trade Cryptocurrency like Bitcoin, Litecoin etc in their platform. You can read this article which will help you to know which Cryptocurrency is more profitable to trade in the Binomo Platform. The availability of assets will change during a time period. 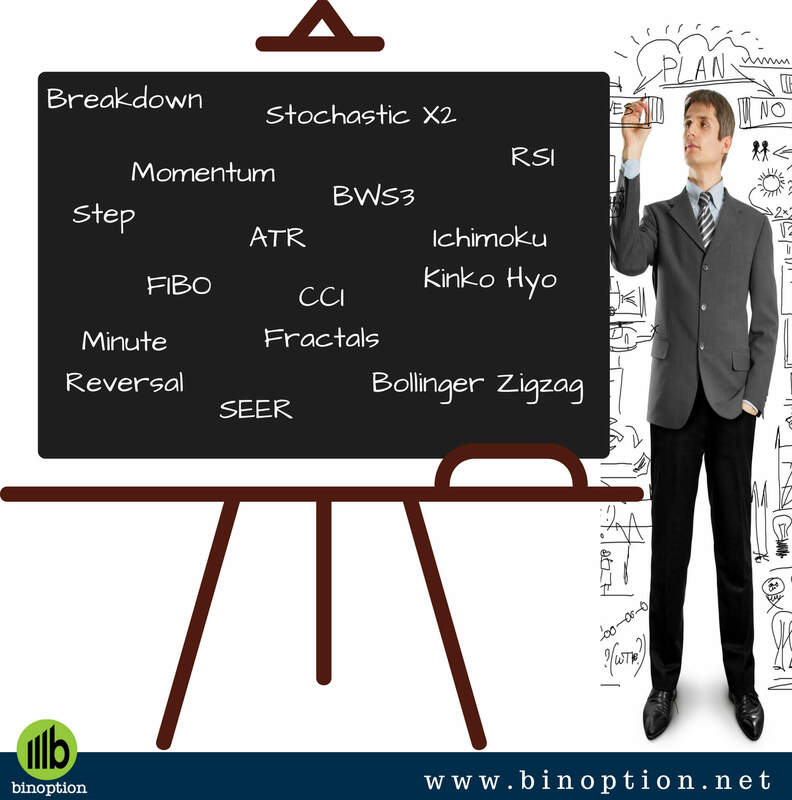 There are a few indicators and Charts available in Real Account of Binomo. Even you can trade with those indicators from your Demo Account. These indicators help to calculate the price movement for a certain period of time. Value change dynamically when the price changes. Traders can forecast the future price. Moving Average works perfectly if there is a Trend. This indicator shows the differences between two moving average from the different timeline. If there is a directional price movement, then these indicators work perfectly. This is a simple moving average. There are lines showing borders of a given standard deviation. This indicator works great in the Trend time. A simple combination of 3 regulars smoothed moving averages of different periods of time and with different shifts in future. There are a few parameters and these parameters can be changed. This indicator defines the strength of the change of price. The price changes over a certain period of time. This is a Trend indicator that shows the overall panorama of price movement. This indicator also shows the filter outs minor fluctuations. This is extremely useful for trading on Trends. 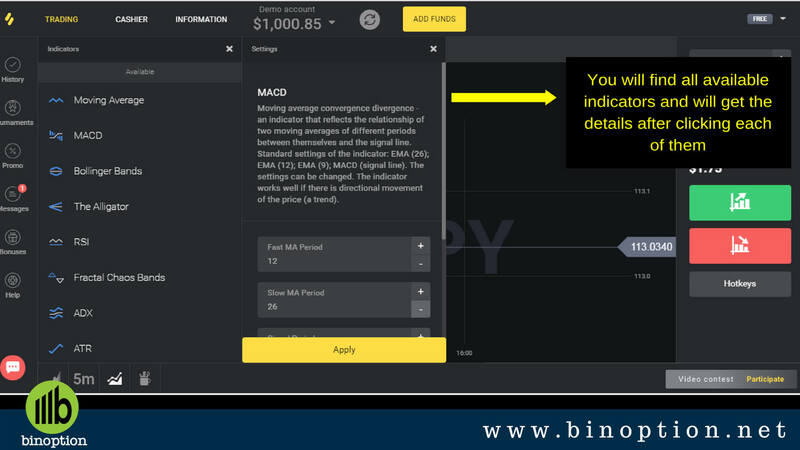 Except for these main indicators, there are more indicators available in Binomo Platform to perform Binary trading. These are ADX, ATR, CCI, Stochastic, Momentum, Parabolic SAR, Awesome Oscillator, Ichimoku Kinko Hyo. By seeing a chart, a trader will predict the movement of a currency pair. The price will change depending on the news, interest rate, and others economic variables. 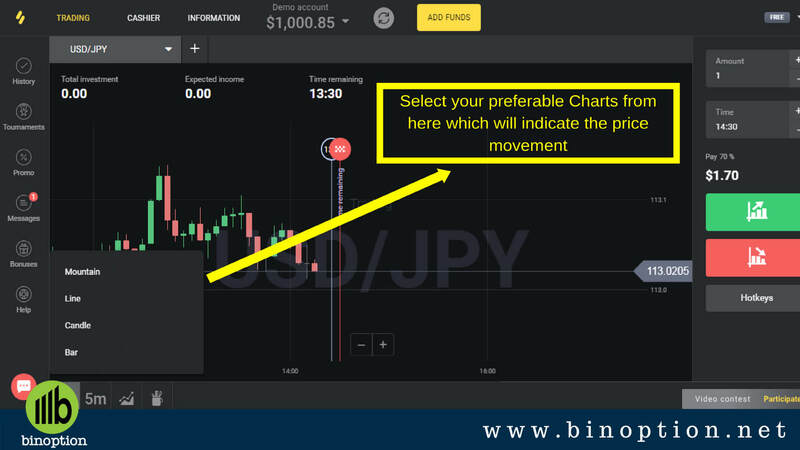 Charting tools and indicators will guide traders to take the trading decisions. There are also a few strategies which are needed to perform an excellent trade. Some strategies are simple and some are complex. Some strategies are based on currency pairs and some are on Trend. To complete a successful strategy you have to use some trading tools and also some indicators. “Minute Reversal” Strategy and so on. As I said earlier, the minimum deposit is $10 but it will vary according to your account types. The minimum investment amount is $1. Deposit is available via Wire transfer Credit Card – UnionPay, MasterCard, and VISA, electronic purses – Bitcoin, Litecoin, Neteller, WebMoney, Moneygram, Perfect money SMS-banking (cash deposit in the account via the phone) and ePayments (South Africa, Nigeria, India). The withdrawal process is trader’s friendly. The minimum amount for a withdrawal is 10 EUR/USD. The withdrawal to your e-wallet will take 3-4 hours (maximum time specified by the broker – 24 hours). A trader can withdraw his money through due process. It generally takes 3-5 days in a week depending on the account type. Withdrawal time is already mentioned in our Account Type part. It is available via the same systems. Binomo doesn’t charge any fees upon deposit, purchase options and withdraw. However, if you don’t trade your deposited amount a required number of time, then this broker will charge 10% of your amount. Bonuses are available for Binomo traders. Bonuses vary account to account wise. For a new customer of standard account will get a welcome bonus. 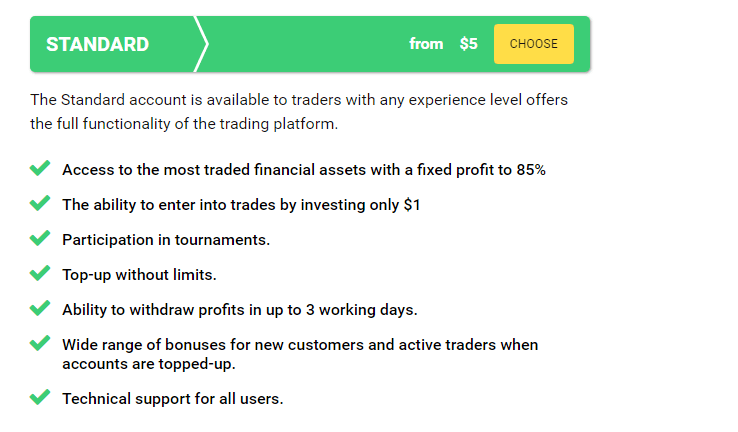 Active traders will also get a bonus after depositing money each time. Welcome bonuses start from 25% to 100%. 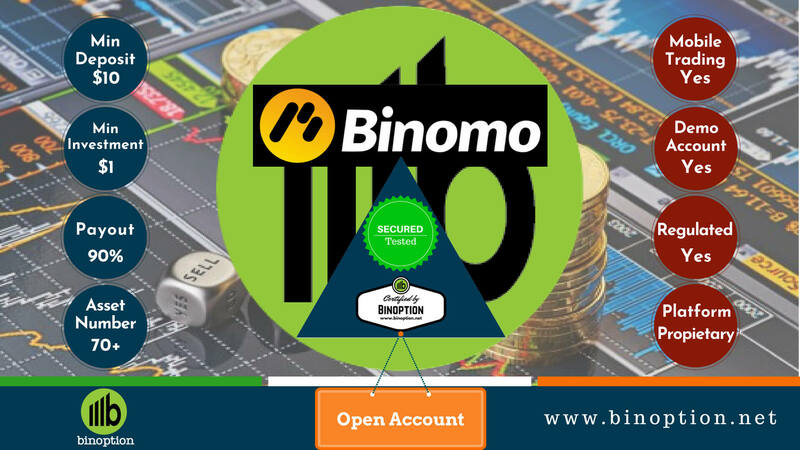 For VIP traders, Binomo is offering 100% bonus. You can take part in different tournaments and promotions which will help you to get bonuses. You will find both Free and Paid tournament. Even after achieving a higher rate you will also get a bonus. You can always get a bonus for replenishing your balance with an amount over $50. 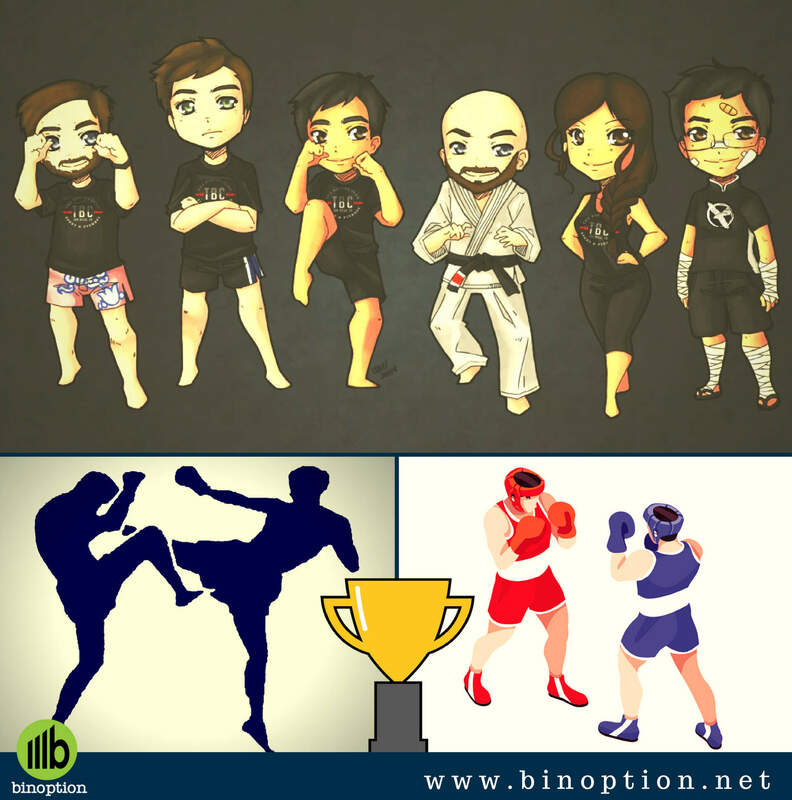 The Binomo platform is popular among all traders for their tournaments. Tournaments will never be the same. For each and every tournament there will be special accounts. You can sign up for the tournament before it starts. You can say this as a pre-booking. The participation fees start at $20. All participants of the tournament start with the same tournament balance. The winning rate is depending on your trading skills. To sign up for the tournament, go to the their page with the list of tournaments, select the tournament, open the detailed information and click on the “Sign up” button. To successfully sign up, you will need to have an amount in your real account that exceeds the cost of participation. It is committed to helping traders at every step while conducting a trade. That is why Binomo provides 24/7 customer service. This service is available in 17 languages/world’s major languages including English, French etc. Besides, anyone can get help through e-mail. Traders can get analytical support from professional traders via Skype. Live Chat is the most effective support they provide. Using this helping tool, a trader can get the instant solution, advice, and suggestion regarding market and trade. You can apply for the newsletter as well via email. Binomo is a client-oriented company, creating new possibilities in the market of leading trading technologies. You can broad up your knowledge from Binomo website. 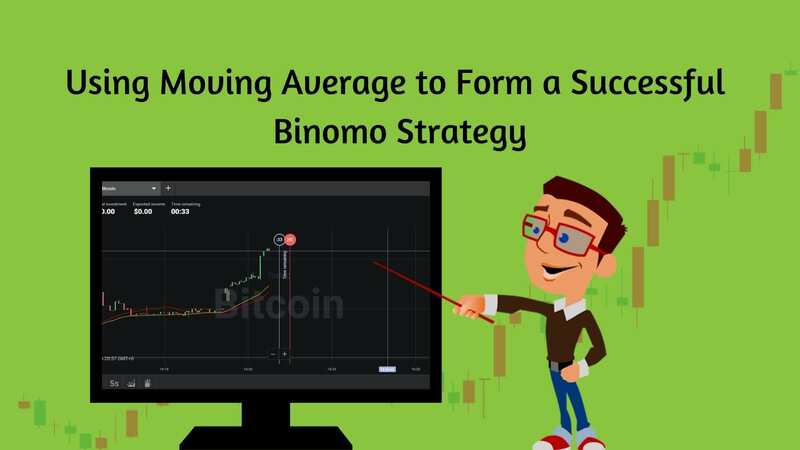 Binomo introduced their traders with various trading STRATEGIES. You can monitor all your Open Trades. They have some drawbacks which are really needed to improve for the future time. During the trading time, we got several problems to find out the actual information. Lack of High-yield options like Range or One-Touch. They don’t have precise information about Cryptocurrency, Stocks, and Commodities. Assets are not well organized. They disabled assets depending on their time frame. The time frame could be every alternative day or could be after more than 2 days. They don’t accept USA and EU Traders which is another drawback. Final Word – Is Binomo Scam? We are about to finish this Binomo Review where it is scam or not. Before drawing the conclusion, I will say that Binomo is the broker who works relentlessly to invent new ideas so that, it becomes easier for new traders. You can easily earn profits in Binomo. 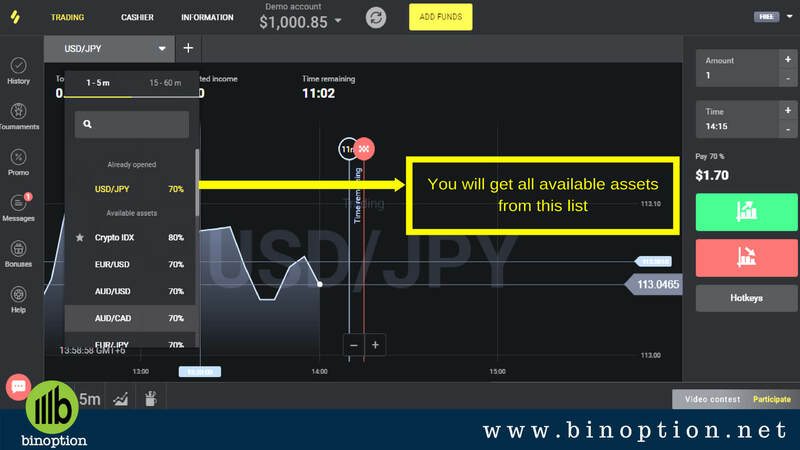 Follow this guide to learn how to make money consistently using Binomo trading app. 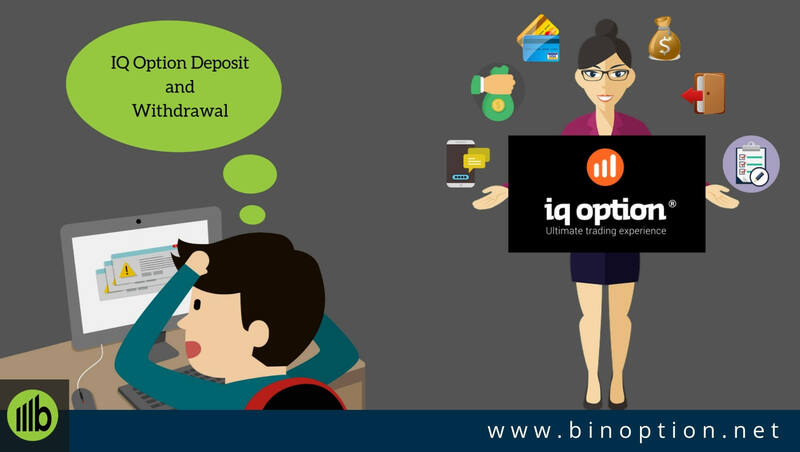 Where other broker’s platforms are offering huge deposit amount and here you can trade by depositing a small amount. The collaboration with traders is completely transparent. As we all know that, broker’s quality is important to have a commercial success. 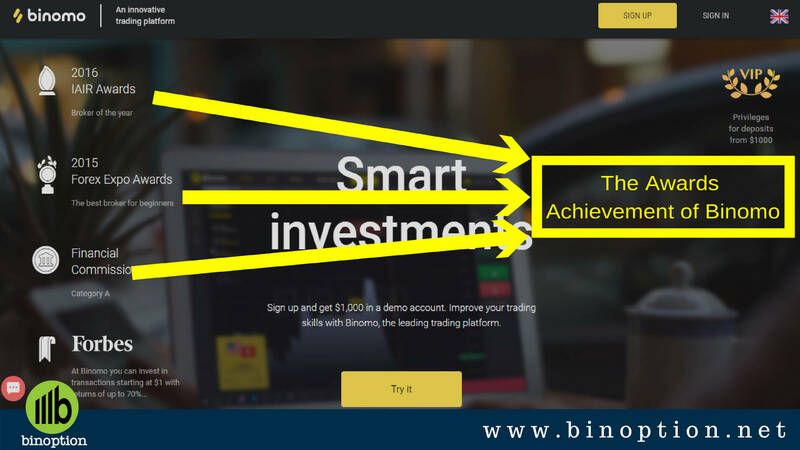 The highest level of mutual trust with each and every trader makes a pleasant investing climate at Binomo. 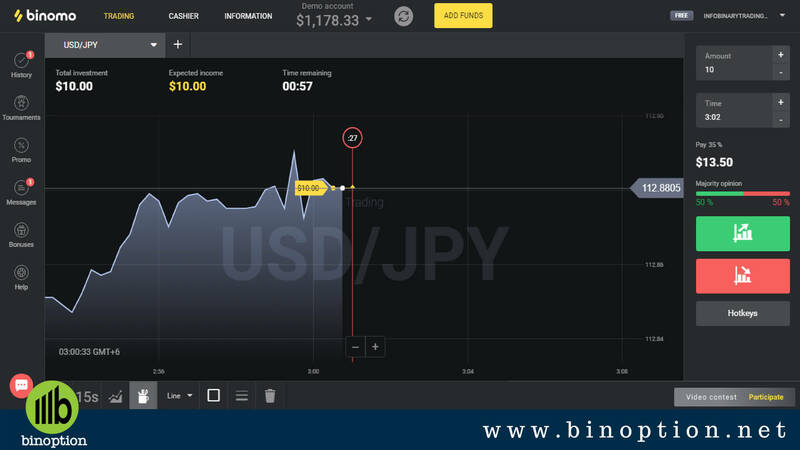 From the analysis we can say that Binomo is not Scam Broker and traders can try this Binary Options Broker for their trading. Wish Binomo and all the traders a great trade with huge success.